Lots of people dream of becoming a doctor. I think it has crossed the minds of nearly everyone at some point their lives. Kids are gifted with toy medical kits to nurture that kind of a dream. As kids grow, they may envision themselves running around in a lab coat, transplanting hearts, testing tumors, delivering babies, and being paged with emergencies. If you are in high school, or even a young adult searching for a career, you may consider becoming a doctor for the first time; or you may rethink the dream you had in childhood. You have a better idea of what it means to be a doctor and may see yourself covered in blood, suturing wounds, and saving the life of an important ambassador. But more than a third of the population who consider this career find a reason, or an excuse, why medical school won’t work for them. The reasons for denying yourself medical school are endless. Maybe you’re worried that you can’t fit it around a family. You might think you’re not smart enough. 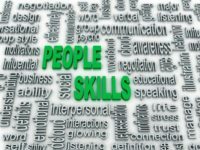 You may even wonder if you have the right kind of people skills. Whatever the reason, if it works, another potential doctor is lost to to the field. It could have been an individual able to ease extreme pain, restore functionality, heal souls and save lives. What happens to the dream, then? It is forgotten under a pile of a person’s busy life. The spark is only remembered in the doctor’s office, or on the street when someone wearing scrubs walks down the block. That makes that long forgotten dream burn in the chest. Even if medical school is not an option for you, your dream of being a healthcare professional needn’t die. That spark can be fanned into something real. There are plenty of other careers in the medical field. If you originally wanted to be a surgeon but couldn’t follow through on that, you don’t have to be an idolized transplant physician to be involved in the OR. Maybe a surgical technologist is an acceptable substitute. You may not be idolized, but you can make a big difference in people’s lives. And, because you’ll interact more with patients, your people skills can make the career even more rewarding. Life is filled with more than one dream. If your passion was to be a doctor but it didn’t pan out, shift that passion into all allied health. You will still help people return to the best quality of life possible. 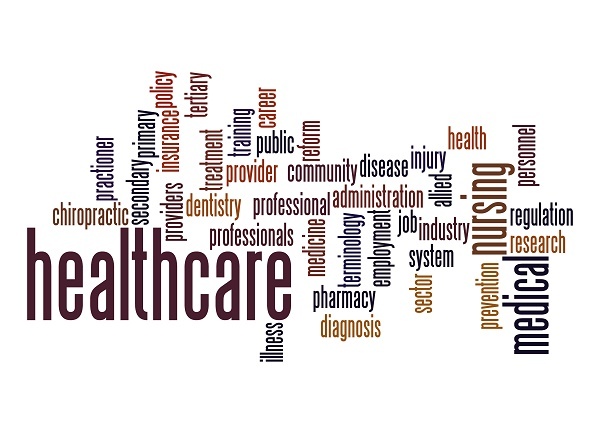 The field of allied health is a segment of healthcare that describes professionals who are not doctors, dentists or nurses. These individuals work to prevent, diagnose and treat a range of conditions and illnesses and often work within multidisciplinary health teams to provide optimal patient outcomes. Many courses do not require an undergraduate degree. Fewer years of training means you can start a job right away. A lot of programs have flexible hours. The Bureau of Labor Statistics continues to predict healthcare jobs are in demand. Not all states and positions require certification. Some programs don’t even require a high school diploma. You’ve heard stories of people returning to school, or starting new careers in their 40s, 50s, and even 60s. They all say something to the effect that the time was going to pass anyway, so why not go for it? The same is true for you. You can start any of these careers at any time in your life. There are dozens of careers in allied health. By exploring what’s available, you may find a career that is personally satisfying. If those three don’t interest you, there are plenty more you can research, some of which The Apprentice Doctor discusses elsewhere on our site. Every person working in medicine is integral to the overall health care of patients. If you have a passion for helping others, and have the people skills to do so, bring your passion with you to the job no matter what it is. There is no need to dispose of your dream. People may have told you that you’re easy to talk to. You may have been told you’re a good listener, and you may find it easy to approach others with a minimum of hesitation. But when working with the public in allied health, your natural skills may not be quite enough. In fact, most doctors say the single skill their on-boarding employees lack is knowing how to communicate with their patients. Understanding how to calm down someone who is scared, upset, or in pain is different than talking to a customer in a boutique. If you want the edge in getting that allied health job, demonstrate that you have the communication skills you need by earning a certificate in The Apprentice Doctor’s People Skills Training Course. It is a convenient and inexpensive way to add value to your resume and possibly give you an edge in any job search campaign.